Volunteers can teach English to all classes in the primary school or in the high school. 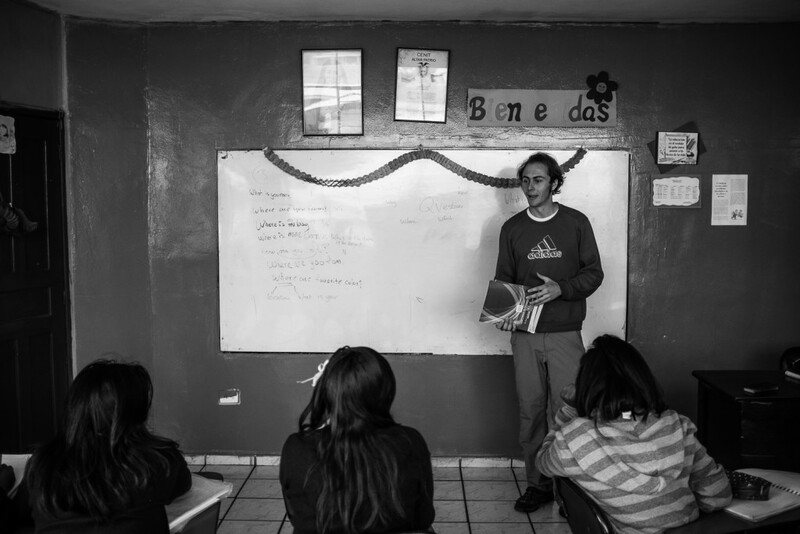 Sometimes you will be the principal teacher and sometimes you will act as Teaching Assistant to an Ecuadorian teacher (it is worth checking this at the time of application). You may teach alone or together with another volunteer depending on the year. These are challenging and rewarding roles. The level of English is very basic, but with lots of enthusiasm, careful planning and patience, your efforts will be rewarded. 6 month commitment; 1 year preferred. The volunteer will be responsible for planning and teaching the Physical Education classes for the children in CENIT´s high school and primary school. For this position, a long- term commitment is required (6 months minimum). The volunteer will be the primary teacher, rather than a teaching assistant but will have the support of and Ecuadorian teacher who will assist in keeping order. Being an active member of the teaching staff (attending meetings, etc.). Planning a course of physical education study appropriate to each level. Delivering classes of 40 minutes in the primary school and high school. Raising funds for the physical education program. 6 month minimum commitment; 1 year preferred.